중풍으로 신경과 입원한 환자의 복통으로 시행한 검사에서 발견된 병소입니다. Cardia를 360도 감싸는 mass lesion였습니다. 조직검사는 signet ring cell carcinoma로 나왔습니다. 아쉽게도 이미 peritoneal seeding까지 동반되어 있었습니다. 일전에도 정상 면역자의 CMV 식도염을 소개한 바 있습니다. 다시 옮깁니다. 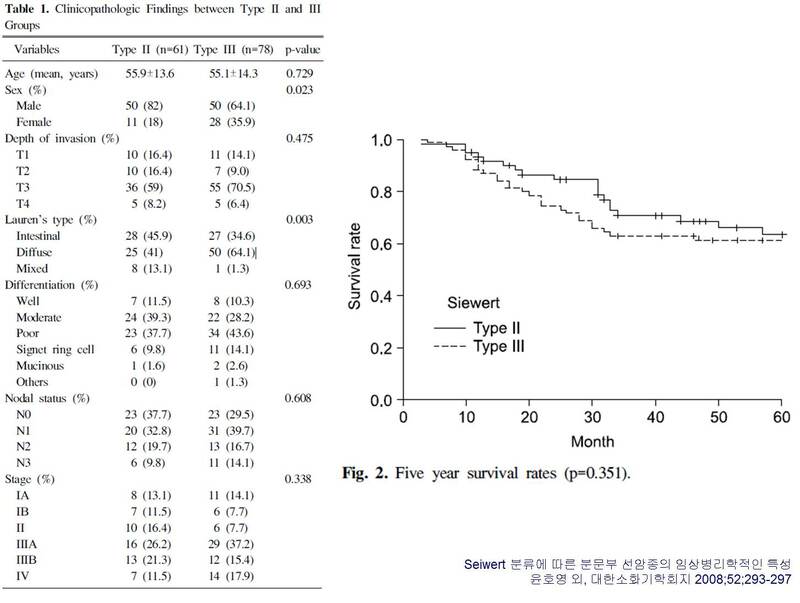 Odynophagia로 내원하신 면역기능이 정상인 성인으로 식도조직검사에서 CMV esophagitis로 확진을 할 수 있었던 예입니다. 이번 증례에서의 고민거리는ganciclovir 투여 후 아주 빨리 증상이 좋아졌기 때문에 항바이러스 약제를 사용기간을 결정하기 어려웠다는 점이었습니다. Sleisenger 책에는 다음과 같이 기술되어 있습니다. “With mild CMV disease in immunocompetent adults, treatment is unnecessary. In immunocompromised patients, antiviral therapy is indicated. Ganciclovir, a guanosine nucleoside analog with a much longer intracellular half-life than that of acyclovir, has proved to be the most effective agent. 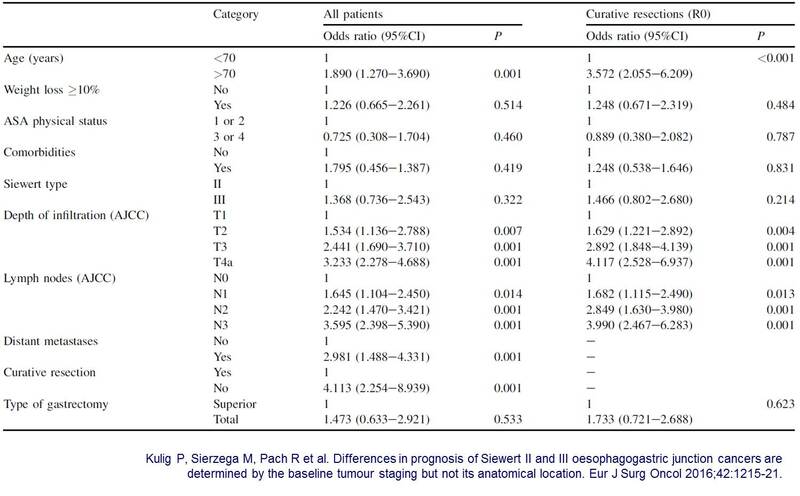 The major toxic effect is bone marrow suppression, particularly granulocytopenia. Because viremia correlates with disease outcome, ganciclovir should be continued until CMV antigenemia is undetectable. For patients resistant to or intolerant of ganciclovir, alternative agents include foscarnet and cidofovir.” Mild한 경우는 아니므로 약을 사용하는 것은 타당하다고 생각되는데, 그 기간은 여전히 고민이 아닐 수 없었습니다. 면역억제환자에서의 통상적인 투여기간은 10-14일입니다만 (통상 약을 끊기 전에 CMV viremia가 소실되었음을 확인한다), 증상이 급격히 호전된 정상면역 성인에서의 투약기간 지침은 뚜렷하지 않다고 생각됩니다. 투약기간을 짧게 하고 내시경 검사에서 호전을 확인하는 것도 하나의 전략이 된다고 여겨집니다. 오래된 증례보고에서 옮깁니다 (투약기간이 길었습니다). "Therapy was started with ganciclovir (5 mg/kg/day) for 15 days. The treatment was well tolerated. 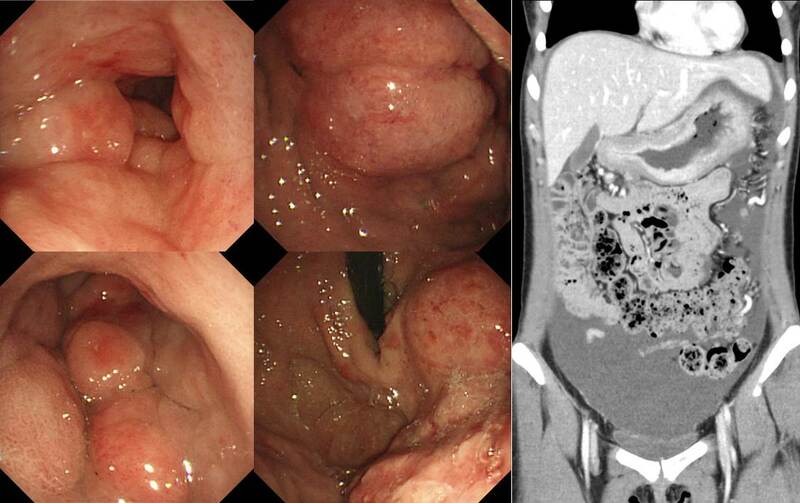 A control endoscopy four weeks after treatment showed that the esophageal ulcer had healed. 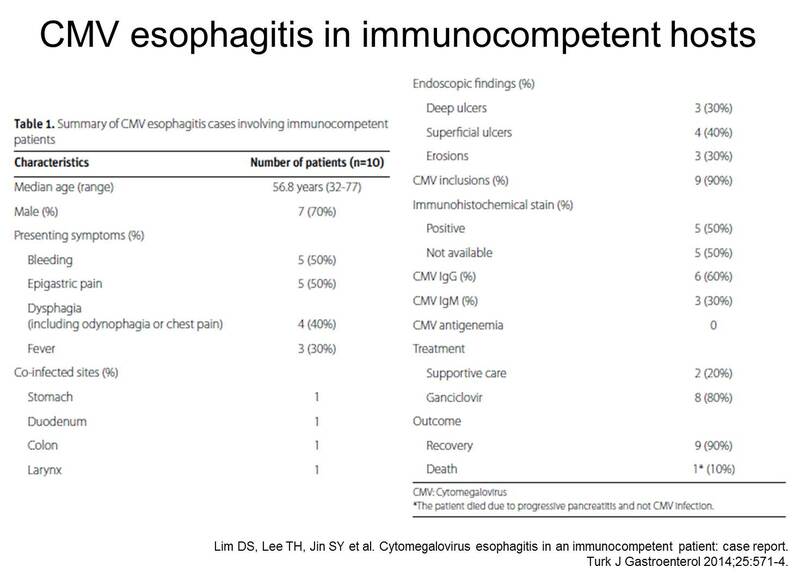 At that time, biopsies from the distal esophagus did not show CMV intranuclear inclusion. (Altman. Dig Dis Sci 1995)"
비교적 고령에서 많이 발생하는 질환이고 조직검사에서 소견이 특징적입니다. Solitary rectal ulcer syndrome과 달리 한번의 episode 후 호전되는 경우가 많습니다.